Decorate every guest table with these Jewelled Table Markers! Guests will find their table with ease with these ornate "regal elegance' table markers. 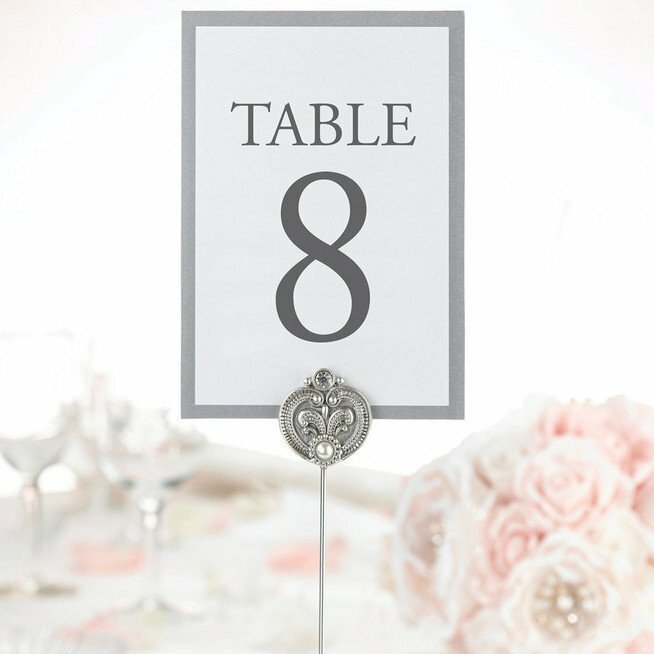 Each table marker stands tall and beautifully on each guest table, with an easy clip behind to hold table numbers firmly. Table number cards not included, please contact us for table number cards!